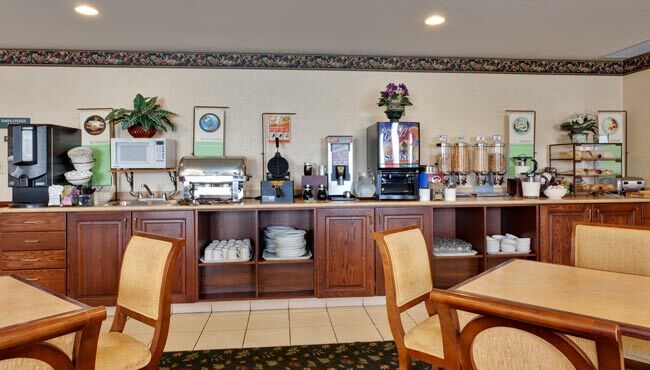 After a restful night’s sleep at the Country Inn & Suites in London, Ontario, we welcome you to begin your day with our free, hot breakfast. Hearty items like Belgian waffles, sausage, omelettes and breads provide the fuel you need to stay focused throughout the morning. Health-conscious guests can also choose options like yoghurt and fresh fruit. For lunch and dinner, make plans to visit nearby restaurants like East Side Mario’s for delicious Italian classics or Montana’s BBQ & Bar for a casual dining experience.